In a world of over abundant processed food, our nutrition choices are much more critical to maintaining health. 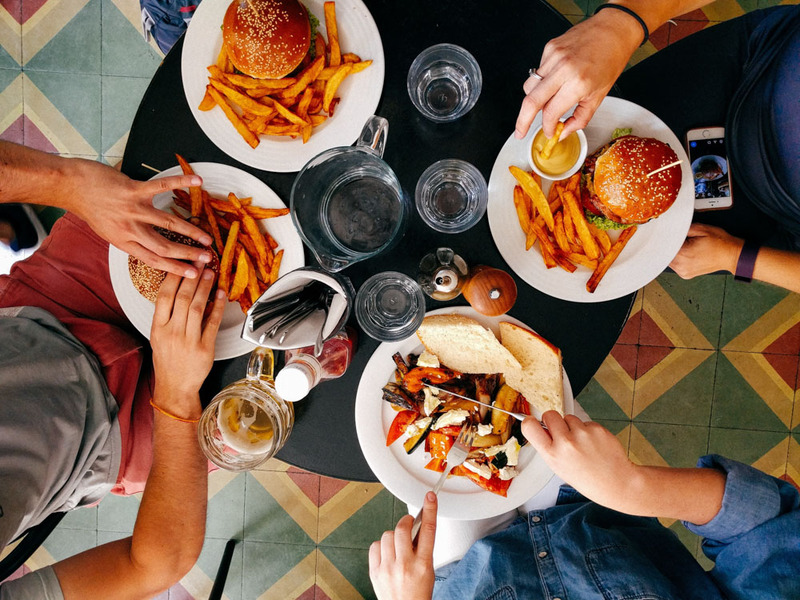 With the plethora of fast food, processed food, and a general disconnect to where our food comes from, it is easy to see the connection of diseases processes with our food choices. 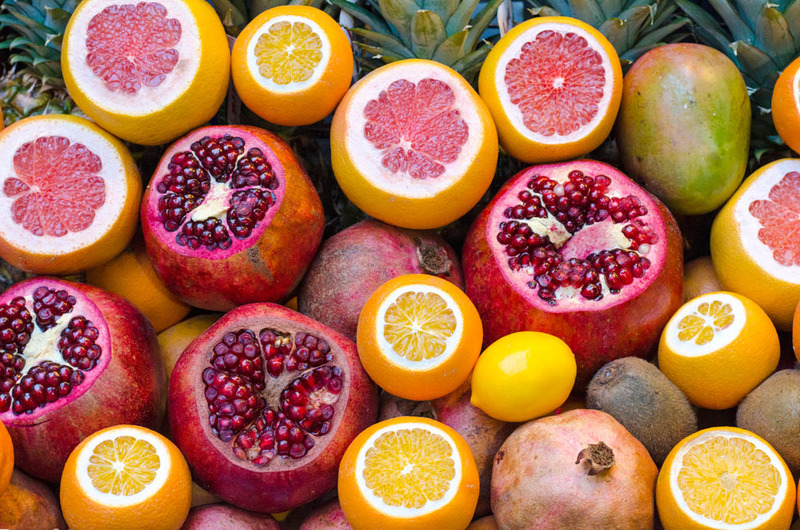 We can help you identify food sensitivities that are causing your symptoms with nutritional consultations and innovative testing. Every disease process is influenced by our food choices, and some diseases are solely manifested by our daily meal choices. While the list for potential diseases related to your diet could go on and on, we want our patients to know we are here to help! Whether you are experiencing aches in your back due to weight gain, respiratory issues stemming from allergies or cognitive problems, something called “brain fog”, our doctors will help you find a solution during your nutritional consultation. After all, you are what you eat! 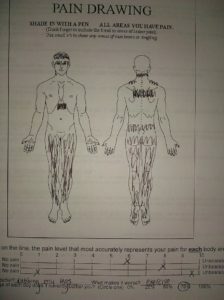 Below is a diagram of one of our patients that presented with widespread chronic pain. She had been to several specialists that did typical imaging and blood work that revealed nothing. The doctors that she went to were stumped. On her own behalf she suspected a food sensitivity and eliminated gluten from her diet. Her symptoms disappeared and she now leads a normal life. She reports that even when she gets the slightest amount of gluten in her diet that that it creates symptoms, and she is not a celiac. A food sensitivity was the source of pain for one of our patients here at Denver Chiropractic. Our patient presented with widespread chronic pain. She had been to several specialists that performed typical imaging and blood work that revealed nothing. The doctors she went to were stumped. After many tests, she suspected a food sensitivity to gluten and eliminated it from her diet. Her symptoms disappeared and she now leads a normal life. She reports that even when she gets the slightest amount of gluten in her diet that that it creates symptoms, and she is not a celiac. This just goes to show that what you eat can truly affect other parts of your overall well being. The best way to help guide you towards better health is through a nutritional consultation. We can gather information and pinpoint exactly which dietary decisions you are making is causing your symptoms. Besides nutritional consultations, we offer some of the most state of the art nutritional related testing. 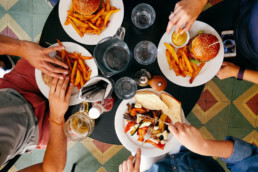 Most often, a food sensitivity develops due to the over consumption of that food. In order to understand which foods need to be eliminated, an ALCAT test needs to be performed. Our ALCAT testing in Denver is a simple blood test that utilizes an inflammation marker of your white blood cells when exposed to different antigens of common foods.